Greenwich, settled in 1604, and is in Fairfield County, Connecticut. At the time of the 2010 census, Greenwich had a population of 61,171. Greenwich is the southwesternmost city in Connecticut. Greenwich is often referred to as the “Gateway to New England.” Greenwich is named for “Greenwich”, a borough of London, England, most noted for being the location of the Prime Meridian. Greenwich has a total area of a little more than 67 square miles with almost 48 square miles being land and a little more than 19 square miles being water. 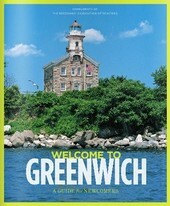 Greenwich is in the Bridgeport-Stamford-Norwalk metropolitan area. Greenwich has 4 beaches, 20 parks, 8,000 acres of protected land and a municipal golf course. Greenwich is comprised of several small villages and neighborhoods, each having its own charming character. Hawthorne Beach is in the town of Greenwich, Fairfield County, Connecticut. Hawthorne Beach is in the 06830 zip code and nearby towns, all within 5 miles are: Glenville, Harrison, Cos Cob, Port Chester and Pemberwick. Nearby Interstate-95 provides excellent access to cities both north and south of Hawthorne on the East Coast. Hawthorne Beach is an exceptionally beautiful place but it's the people who reside in the area that make it so interesting and desirable. While it’s true that the area is known for it many wealth residents, it’s their variety of background that keeps things interesting. Residents in the area of Hawthorne Beach are from the worlds of business, international trade, and hedge fund management. Also represented in the community are diplomats, actors, sports figures, writers and artists. In 2005 CNN/ Money and Money Magazine ranked Greenwich first on its list of ”100 Best Places to Live in the United States.” Most of the recreation in the area is concentrated around water activities such as sailing and fishing. Local sports enthusiast fish for striped bass, bluefish and summer flounder in waters off Greenwich shores. Condominiums, townhomes, and single-family homes are the kinds of properties currently available on the real estate market in the Hawthorne Beach area. The average listing price for a condo in the Hawthorne Beach area is about $1,459,113 and prices go up to approximately $4,250,000. The average listing price for a single-family home in the area of Hawthorne Beach is about $4,213,263 and prices can go up to $49,895,000 for a luxury mansion, set on lush acreage, featuring every possible amenity. Homes near Hawthorne Beach come in a wide variety of sizes and architectural styles. Contact us today with any questions or to schedule an appointment to see any of our exceptional properties for sale in the area of Hawthorne Beach or in any community near Greenwich, Connecticut.